Thanks to the latest advances in technology, live events like the Boston Calling music festival can offer attendees and VIPs a more immersive and memorable experience than ever before. Since 2016, Backstage Networks (BSN) has served as the IT backbone for Boston Calling. This past May, the three-day, multi-stage festival held at the Harvard Athletic Complex in Allston, Mass., attracted a record number of attendees. 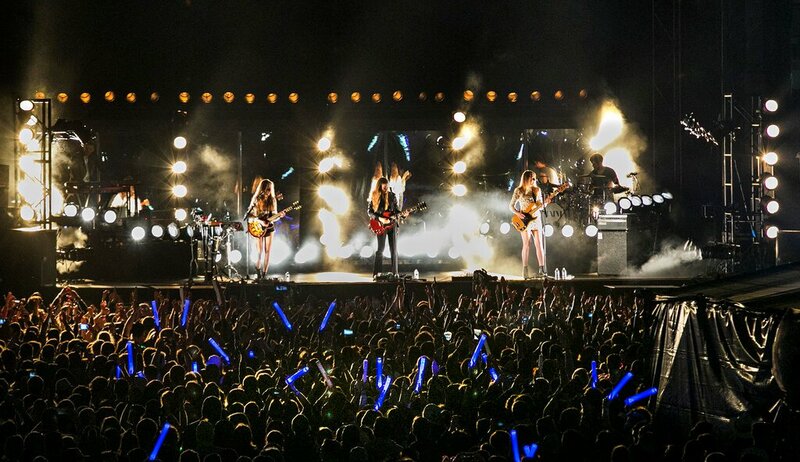 First held in downtown Boston in 2013, Boston Calling’s popularity is still growing and so are its IT requirements. Initially, Crashline Productions (event co-owner and manager) relied on one person to handle all the event’s IT needs. Not so anymore. Fast forward to 2018. BSN has since expanded Boston Calling’s IT support to include the event’s first-ever public attendee WiFi experience. Previously, WiFi coverage was limited to the event’s production areas, artist compound as well as RFID access control, ticketing, security, PoS and FoH needs. BSN deployed a 10gig fiber backbone to support a robust WiFi infrastructure to support a record number of attendees and VIPs in WiFi zones, with the largest coverage area supporting over 8,000 simultaneous attendees. 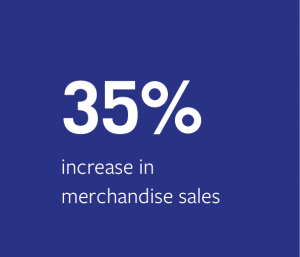 Many WiFi zones were strategically positioned near food, beverage and merchandise vendors, which successfully helped increase sales in these areas. To ensure robust and seamless coverage, BSN developed a comprehensive RF design using high-density wireless gear from Ruckus Wireless™. In conjunction with expanded attendee WiFi, BSN incorporated a custom Boston Calling/sponsor-branded splash page, driving attendee traffic to the sponsor’s landing page and Boston Calling’s social media platforms. This allowed Boston calling to reach even more attendees via social media and keep them engaged throughout the year in anticipation of driving future sales. “When our relationship started, BSN really provided a macro-level understanding of our needs at the time which was a real benefit for us,” says Mike Snow, Co-Founder, Crashline Productions and Executive Producer, Boston Calling. Snow admits that during in Boston Callings’ early years, he didn’t have a resource with the necessary IT intelligence or even business etiquette required to accomplish what was needed as the event grew. BSN stepped in with the right business acumen, technical expertise and global experience to flawlessly get the job done. Access control for RFID hand-held scanners deployed for VIPs, catering, backstage, security, etc. Overall, Snow is proud of Boston Calling’s success, which he believes is directly connected to BSN’s level of IT support. 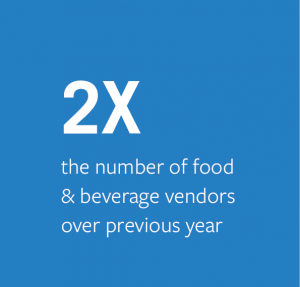 Boston Calling 2018 experienced a significant jump in vendor deployments over 2017, with nearly double the number of food and beer vendors. 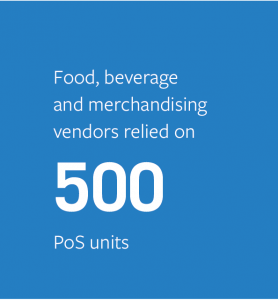 All vendors combined, including merchandising, now rely on approximately 500 PoS tablets. 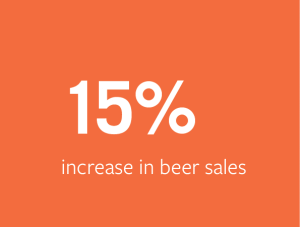 Compared with 2017, Snow says 2018 beer sales were up 15 percent and merchandise sales up 35 percent, largely due to much faster transaction processing speeds. This translated to faster transaction processing for all vendors, which kept lines short and all parties happy. With live event RFID wristband adoption rates growing among attendees, faster PoS transaction processing, and BSN’s IT support, Boston Calling is poised for even more success for 2019 and into the future. Need IT for your live event? Go with the pros. World-class events need world-class experts. Our decades of experience in live event IT production and WiFi give you confidence that the show WILL go on. Contact us for a quote today. World-class events need world-class experts. Our decades of experience in live event I.T. production and WiFi give you confidence that the show WILL go on. Contact us for a quote today.